Private Banker International Wealth Summit and Awards is always full of industry insight and trends for the future. Now in its 22nd year Private Banker International Wealth Summit is a hub of ideas and knowledge allowing attendees to prepare the best strategies for future development. The conference and awards dinner always attracts the most senior people in private banking and offers you the chance to network with other like minded professionals and meet potential new business partners. Last year’s Private banker International Wealth Summit provided delegates with an in-depth prospective of what to expect in the coming year within the market. The article below features the events that were taken place on the 21st Private Banker International Wealth Summit. Delegates attending the Private Banker International Wealth Summit & Awards in its 22nd year are sure to appreciate the same benefits and more provided in its previous year. Delegates at the 21st Private Banker International Wealth Summit in Singapore heard that success in global private banking depends on clearly deciding which clients to target, focusing on sustainable growth and delivering client centricity. Ronan McCaughey sums up the key talking points. 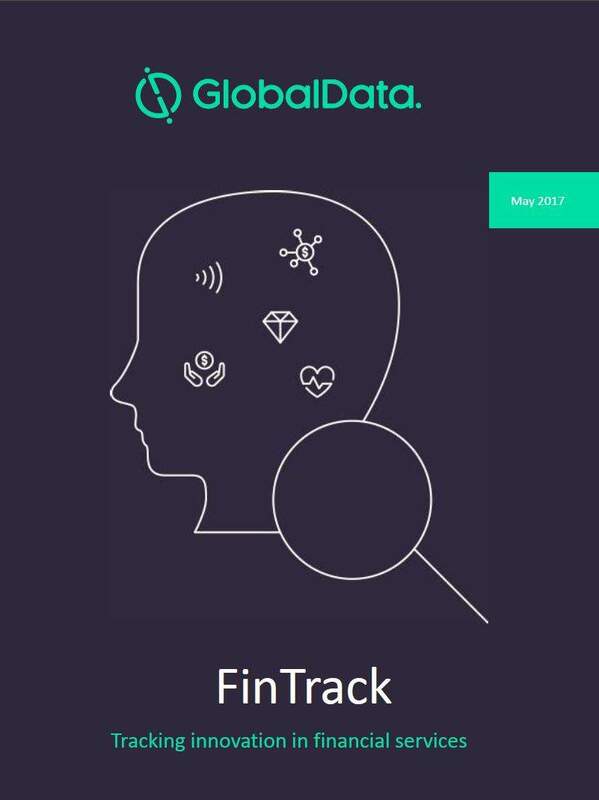 Numerous challenges currently face the global private banking and wealth management industry – from regulatory obstacles and declining industry profitability, to attracting talented staff. However, providers can tap into plentiful opportunities in the sector, and particularly in Asia, if they adapt to the changing global wealth landscape and execute a clear client segmentation strategy. That was the over-arching recommendation by a series of top-class speakers from major banks at the Private Banker International Wealth Summit, held at Raffles Hotel in Singapore, on 13 October. Several of the speakers also underlined the core importance of technology. Attendees heard that efficient IT systems would help drive down the costs of running private banking businesses but new technologies would also help banks engage with the next generation of HNW investors. Remaining relevant to this increasingly younger, and tech-savvy, segment is a key concern for private banking heads in the next 5-10 years as the industry enters a major era of wealth transfer. With market fragmentation minimising the opportunities for wealth managers to create critical mass, RBS Coutts Asia CEO Nick Pollard said building critical mass was a core building block for a “winning strategy” in global private banking. “Our strength has been to understand where we can have critical mass and we have become much more focused on sustainable growth,” said Pollard. Pollard noted that several factors contribute to a successful private banking business. A consistent message from Pollard was that wealth managers need to focus on building scale where it is achievable. Private banks and wealth managers are dealing with declining industry profitability, regulatory obstacles and an increasing focus on transparency of fees and costings. Given these brakes on profitability, Shayne Nelson, Standard Chartereds global head for high value client coverage and Private Bank CEO, emphasised the need to clearly target client groups, such as entrepreneurs. “There is no silver bullet for private banking. Decide which clients to target [because] using a scattergun approach is not a strategy that is going to work going forward,” Nelson said. Like Pollard, Nelson said it was imperative to have scale in order to be a viable private banking business. He also urged the sector to be more disciplined about productivity management. “We look for our relationship managers to return their costs in the first year,” said Nelson. Attracting and retaining talented staff remains a significant problem facing the global private banking and one that was echoed throughout the summit. Pollard said that, although it is important to reward staff with competitive packages, there is also a need for organisations to make staff feel part of the business. Nelson said branding also plays a role when it comes to attracting talent. Barend Janssens, head of Royal Bank of Canada’s wealth management emerging markets business, contextualised the changing global wealth landscape by explaining that it is impacting all private banking and wealth management operating models. He also cautioned industry players considering expanding into foreign markets to be aware of cultural and potential language barriers when operating in a new market. This was backed up by responses to an interactive poll run at the summit (see results on page 11). Almost two-thirds of respondents agreed that some Western banks in Asia will have to close down or start to consolidate themselves as a result of rising costs. Stephanie Lair, head of investment services Asia at BNP Paribas Wealth Management, used the fact that 41% of high net worth individuals (HNWIs) are aged 45 or younger to illustrate the changing demographic profile. Lair explained that the major concerns for HNWIs today are: capital preservation; effective portfolio management and receiving specialised advice. To offer value-added features for HNWIs, she argued that private bankers and wealth managers should leverage investment banking tools and technologies. The opportunity in Asia for private banks and wealth managers was a major theme explored during the summit, and particularly by Bank of Singapore CEO Renato de Guzman. 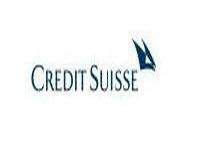 Credit Suisses Global Wealth Report 2011 puts many of these opportunities into context by stating that Singapores total wealth grew by $307bn from January 2010 to June 2011  making it among the top 20 contributors of global wealth growth during the period. The report also noted that total household wealth in Asia-Pacific rose by 23% from $61trn in January 2010 to $75trn in June 2011. This contrasted with 9.2% and 4.8% total wealth growth in North America and Europe over the same period respectively. Standard Chartereds Nelson highlighted that although European market sentiment is centred on wealth preservation, in Asia, the focus is on wealth generation. 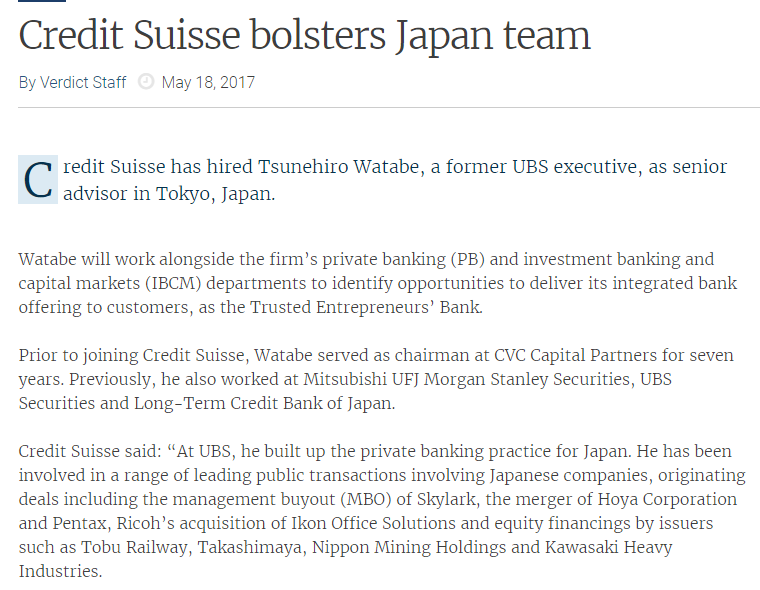 Nelson said it is therefore important for private banks to tailor their products accordingly to the needs of clients in Asia-Pacific. “Asians like Asians products,” said Nelson. De Guzman made a key point at the summit when he emphasised the growing demand for private banks with “Asian roots”. He said Asian clients have diverse private banking and wealth management needs, but there are also some commonalities. For example, many are self-made and are categorised as “new wealth”. Discussing the evolution of Asias wealth management market and clients behaviour, De Guzman noted that while first-generation clients actively manage their wealth, second-generation wealthy individuals “are more open to discretionary solutions”. De Guzmans comments came after an interactive poll conducted during the summit found that the majority of delegates strongly agreed that it would take between two and five years for Asian-based domestic banks to break into the top-10 wealth managers globally. Picking up on the poll result, Nelson felt two to five years could be too soon for Asian-based domestic banks. A breakdown in trust between clients and advisers has been one of the major characteristics of the post-crisis period. Bruce Weatherill, CEO and founder of Bruce Weatherill Executive Consulting, stressed the need for a return to client centricity in private banking and wealth management. “Client-centric organisations will be the most successful since they nurture and encourage a trusted adviser relationship,” noted Weatherill. According to Weatherill, wealth management clients are demanding a new business model from industry providers. “Clients have to be at the centre of what we are doing under which they get what they want and how [they what it] delivered,” said Weatherill. Weatherill argued that a huge proportion of banks do not reward private bankers in terms of key performance indicators and called for a better understanding of the drivers of trust, saying this would increase profitability. 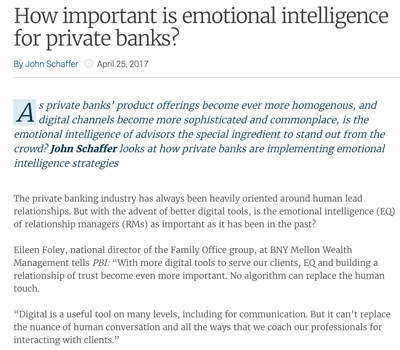 In his view, one way for private banks to gain a better understanding of the “drivers of trust” would be measure the client experience. An insightful analysis during the summit came from Caroline Garnham, founder of Family Bhive, an online community for HNW investors and the organisations that serve them. In the first instance, she said it was important for private banks to build brand awareness and deliver effective marketing, an area where social media can also play a role. Garnham explained that businesses serving the HNW community are concerned that social media platforms, such as Twitter, Facebook and YouTube are too amorphous and undifferentiated, but said a easy-to-use website catering to the UHNW community has several advantages. Overall, Pollard succinctly summed up the state of the global private banking and wealth management industry, and the opportunities and challenges within it. “The prize is enormous, but nobody has won anything yet,” he said. Singapore has a highly developed market-based economy, based historically on extended entrepôt trade. Along with Hong Kong, South Korea and Taiwan, Singapore is one of the original Four Asian Tigers. The Singaporean economy is known as one of the freest, most innovative, most competitive, and most business-friendly. The 2011 Index of Economic Freedom ranks Singapore as the second freest economy in the world, behind Hong Kong. According to the Corruption Perceptions Index, Singapore is consistently ranked as one of the least corrupt countries in the world, along with New Zealand and the Scandinavian countries. The asian economies have been exhibting srong growth trends while more developed nations have recently shown signs of contraction. Asian local currency bonds provide opportunities to participate in the growth of rising Asian economies. What are the key drivers for the growth of this regional asset class? What is an efficient way to gain exposure to this assets class? BNP Paribas Wealth Management is a leading global private bank, present in some 30 countries. Over 6,000 professionals, based in every major financial centre, provide a private investor clientele with solutions for optimising and managing their assets. The bank has approximately US$325 billion of assets under management. With the banks strong Asian heritage since setting its foot in the region over 150 years ago, BNP Paribas Wealth Management has been a leading private bank in Asia for decades, with strong onshore presence in Hong Kong, Singapore, India, China and Taiwan. Currently BNP Paribas Wealth Management employs 1,000 staff in the region. BNP Paribas Wealth Management services its clients by empowering clients with a combination of global expertise and local knowledge, meeting clients needs with a broad range of wealth management and banking solutions, as well as putting the long-term relationship at the very heart of its commitment to clients. BNP Paribas Wealth Management helps secure our clients future by providing innovative and personalised management of their assets. The private banks expertise comes from an international team of 800 specialists dedicated to the creation, selection and monitoring of products and services to manage your assets, which include: Wealth Planning Solutions, Investment Solutions and Financing Solutions. Founded in 1993 and listed on the Swiss Stock Exchange (SIX:TEMN), Temenos Group AG is the market leading provider of banking software systems to retail, corporate, universal, private, Islamic, microfinance and community banks, wealth managers, and financial institutions. Headquartered in Geneva and with 57 offices worldwide, Temenos is proven in over 1,500 customer deployments in more than 125 countries across the world. According to IBS Intelligence, which maintains an annual league table, TEMENOS T24 has been the first or second bestselling core banking solution for the last 14 years. Forrester ranks Temenos as the sole global power seller (Global Banking Platform Deals 2011), and Temenos has been the winner every year since its launch of the Best Core Banking Product in Banking Technology magazines Readers Choice Awards. Temenos customers are proven to be more profitable than their peers: as of April 2012  over the last 3 years Temenos customers have enjoyed on average a 30% higher return on assets, a 46% higher return on capital and a cost/income ratio that is 8.5 points lower than non-Temenos customers. New Access group is a leader in the banking software industry, its mission is to develop and provide exceptional banking solutions that offer a decisive competitive advantage. It is specialised in banking relaationship management and account opening with Branch®, in asset and advisory management with Equalizer II, in electronic document management with Logical Access® Suite, in generation of clients’ reports with Xeres and legal documents with Docs. The integration of these products allows New Access to offer a global front office solution addressing all the customer follow-up needs of a bank, from portfolio management to CRM, including order management, reporting, and document life cycle. New Access’ headquarters are located in Geneva, Switzerland and it has a branch in Singapore. As of today, New Access employs close to a hundred people and its solutions are installed in more than 120 sites in 19 countries. Michael John Mancano is the Business Development Director of Mancano and Associates Pte Ltd, a family owned executive search and strategic intelligence consulting firm. 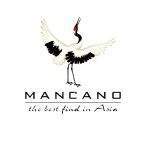 He registered Mancano and Associates Pte Ltd (Singapore) in 1989. Mr Mancano entered the family search profession working alongside the matriarch and founder Mrs Margaret Ann Mancano. Mr Mancano is a longstanding and respected member of the American Business Council and the American Association in Singapore. Mr Mancano graduated from the University of Connecticut with a Bachelor of Arts in Sociology. He was an active participant in the Foreign Studies  Junior year Abroad Program in Florence, Italy where he studied Classical Romance Languages, Renaissance Art, Renaissance Art History, Renaissance Literature, International Economics and International Politics. Michael John Mancano was also an active participant in the Urban Studies  Inner City Youth Programs whilst attending the School of Social Work at the University of Connecticut. Mr Mancano also attended Graduate Studies at Georgetown University in the Masters of Science Foreign Service Program and Graduate Studies at American University in the Masters of Science International Business Program. Introducing St Mary Residences  world-class city living in the Central Business District (CBD) of Kuala Lumpur City Centre (KLCC). Styled after Manhattans iconic loft apartments, this freehold, blue-chip mixed-use development offers private luxury suites that raise city living to a new level. Within walking distance to a kaleidoscope of nightspots, shops, five-star hotels and the corporate offices of global giants, St Mary Residences is both city getaway and urban sanctuary. It is the perfect address for professionals and globe-trotting urbanites to live, play and work. The innovative architecture of St Mary Residences includes generous glass windows, articulated at different angles to present the best views of the city, coupled with high-luxury detailing and finish. At the heart of St Mary Residences is the Central Park. With a residents-only clubhouse, gym and function rooms on its northern fringe, the manicured lawn flows right to the edge of the swimming pool. Shady tropical palms provide a green oasis. As a new home, second home or investment, St Mary Residences is an investors dream, offering attractive capital appreciation and rental yields. It is developed by Mergexcel Property Development Sdn Bhd, a joint-venture between two of Malaysia’s most renowned property groups, Eastern & Oriental Berhad and The Lion Group. Eastern & Oriental Berhad is a premier lifestyle property developer that has built prestigious properties in gateway cities such as Kuala Lumpur, Penang and, Johor. Embracing its motto, Expect Nothing Ordinary, E&O continues to set benchmarks in pricing, quality and product innovations. Robert Walters is an award-winning business and one of the leading international recruitment consultancies. The Group has a network of 51 offices spanning 23 countries, including the United Kingdom, Ireland, Continental Europe, the United States, Australia, New Zealand, Asia, South Africa and South America. With 27 years experience in the recruitment industry, Robert Walters offers a highly professional and specialised recruitment service to candidates and clients alike. We have an established track record with leading institutions, from multinational corporations to smaller enterprises and business start-ups. Robert Walters specialises in placing candidates on a permanent or contract basis across the following specialities: accountancy & finance, banking & financial services, engineering, general management, human resources, information technology, legal, oil & gas, sales & marketing, secretarial & support as well as supply chain, procurement & logistics. WealthInsight provides detailed data and insightful analysis on the worlds High Net Worth Individuals (HNWIs) and wealth sector. With decades of experience providing business information, WealthInsight helps organisations make informed decisions and win new business. At WealthInsights core is our proprietary HNWI Database of the worlds wealthiest individuals. Around this database we have built a number of valuable research based products and services that make WealthInsight much more than just a rich contact list. Headquartered in Singapore, Asia Wealth Management Search is a leading Executive Search company focusing purely on the Private Banking and Wealth Management sector. Our success is built on the strength of our networks and relationships, which is almost always the major factor when choosing which Executive Search firm to partner with. Our relationships have been built successfully through exceptional performance, trust and understanding of our clients needs. Our clients include European, Asian and American Banks. All of them have one thing in common, a great story combined with a long term commitment to Asia. Nick has extensive knowledge and experience of the Asian Private Client & Wealth Management sector, combined with a vast network of clients and candidates at all levels. Originally from London, he has been based in Asia since 2006. He provides regular market commentary in publications such as Business Times, Bloomberg and Wealth Briefing. Nick’s specialist focus markets are Singapore, Indonesia, Thailand, Europe and North Asia. IRESS is a market leading supplier of private wealth, financial markets and wealth management systems in Singapore, Hong Kong, Australia, New Zealand, Canada, South Africa and the United Kingdom. We are a progressive, service-based organisation that employs over 650 staff in 14 offices worldwide. We strive for excellence in our relationships with clients and industry bodies alike. We are client-driven, responsive and promote a culture that supports working with our customers and the industry to overcome challenges and keep pace with industry developments. Our Private Wealth solution supports private client advisers operating within advice provision, discretionary management, and real-time execution services with an online desktop tailored to their client and workflow requirements, all within a secured environment. Private Wealth combines comprehensive portfolio management and execution with client management tools to produce a tailored environment to suit your business processes and mandates. With multi-currency and multi-asset class support, Private Wealth gives you a complete view of your client investments and all the tools to manage them. SUNSKY Electronics, the pace-setter of audience response system in Asia, has been concentrated in audience response system design, development and distribution for over 14 years. SunVote voting products are reliable, easy to use and innovative. Currently, the company provides three series of professional audience response systems, namely EVS-Electronic Voting System, ARS-Audience Response System and CRS-Class Response System, for government, corporate, and education respectively. With professional feedback function, stable quality, reasonable price and sincere services, the company is steadily increasing global market. By now, SunVote wireless voting system has been exported to over 60 countries and regions worldwide, covering Europe, America, Asia, Africa, the Middle East and more. SunVote products are wildly used in fields of government, corporate, school, TV& Broadcasting and entertainment. The company is openly recruiting SunVote Authorized Reseller worldwide so as to provide localized professional services for customers old and new. Multi Image Pte Ltd is dedicated to providing our services to our customer by focusing on value, service, with uncompromised integrity and unparalled technical support. Based in Hong Kong, China Daily Asia Weekly is now one of the most widely read and influential English language publications in the region. 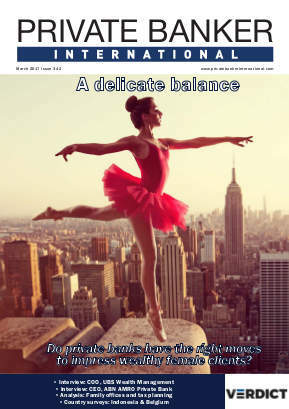 Published each Friday and distributed in Japan, India, Singapore, Thailand, Malaysia, Indonesia, Beijing, Hong Kong, Macao, Australia and Dubai, China Daily Asia Weekly offers an exciting bouquet of subjects  economics, finance, politics, governments, industries, travel, entertainment, art, culture and current events. All this with a pronounced business angle, and a fresh Asian perspective. Our mission is to discover New Asia and our intent is to serve as a trusted and useful guide to help readers understand the opportunities that exist between China and other countries in the region. Our contents  from cover stories, news, features to incisive commentaries and concise analyses  are relevant to newsmakers from the business world, policymakers, academics and think tanks. Being a publication from the stable of China Daily, which has a worldwide circulation of about 400,000, we also offer a ringside view of China, arguably the most happening country in the world now. All over Asia we have writers and reporters with proven skills and insights and commentators who see much deeper into events, and foresee things. China Daily Asia Weekly is also part of the Asia News Network that consists of 21 mainstream news organizations in 19 Asian countries and regions. At HSBC Private Bank, we search out and reveal new opportunities for our clients to manage and protect their wealth. As a leading international private bank, we build on the strengths, heritage and prudent long-term strategy of the HSBC Group. With over 94 offices in 37 countries, our network combines global expertise with a real understanding of local markets, issues and opportunities. We put our clients at the centre of everything we do; we work with them to identify goals and requirements and create bespoke solutions that make the most of the opportunities available to them, their family and businesses. 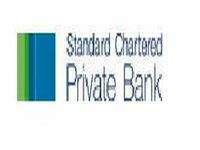 Standard Chartered Private Bank is the private banking division of Standard Chartered. Headquartered in Singapore, the Private Bank provides exciting career opportunities to over 1,200 employees including over 450 relationship managers globally. It has 30 offices across Asia, Africa, Middle East and Europe. 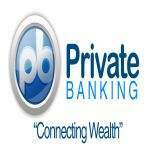 The Private Bank has grown strongly since its inception in May 2007. On top of its strong organic growth, it acquired American Express Bank in 2008, through which it has further improved its capabilities. The Private Bank has been showing continued strong growth: In the first half of 2011, its Assets under Management grew by 38% in Asia and 31% globally year-on-year. The Private Bank leverages the natural strengths of Standard Chartered: A heritage of over 150 years in international banking, an international network across more than 70 countries, and strong local presence in growth markets. This puts The Private Bank in an advantaged position to build and deepen relationship with its clients. Standard Chartered Private Banks strong growth and rising industry leadership has been recognised by the industry: Major awards that the Private Bank has won include the Best Global Private Bank award at the Wealth Management Awards 2011 organised by The Financial Times and Investors Chronicle; Outstanding Private Bank in Asia Pacific award at the annual Private Banker International Global Awards 2010, which the Private Bank won for the third year in a row; and The Best Private Bank in Asia award by The Banker in 2010. 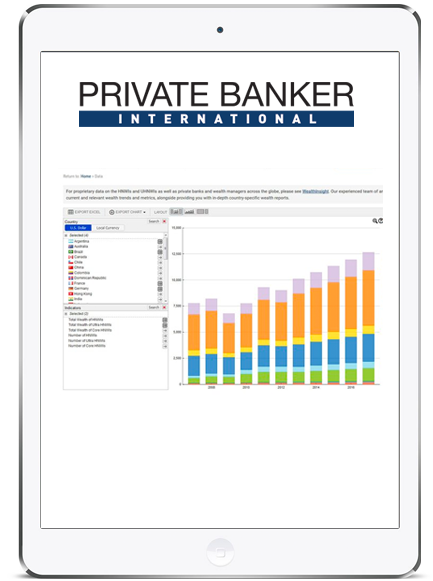 Unlike other industry publications, Private Banker International is the only wealth management publication that covers the full spectrum of wealthy individuals and the investment opportunities available to them from a global perspective. If you are involved in wealth management, whether its the day-to-day running of a portfolio, strategic positioning and development, management of a family office or firm, or as an industry partner, Private Banker International provides you with the market intelligence, analysis and insight that you need to successfully take your business forward. 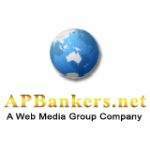 BanksDaily.com contains one of the largest international database of banks and banking groups (company information, head office address, telephone, fax, website, twitter, facebook, SWIFT/BIC code, financial highlights, etc.). Our information portal also provides press releases, banking news, and bank ratings for consumers of financial services. The PRIVATEBANKING.COM wealth industry directory is the financial-industrys leading online business development and networking platform focused on Wealth Management and Financial Services. Privatebanking.coms FINANCE LOUNGE business network is a vibrant and fast growing online community designed to help financial markets professionals to build network, increase visibility and identify and stay in touch with relevant industry experts and customers alike. Sponsoring or advertising at a VRL event is an ideal way to support your marketing objectives. It provides an easy, cost-effective and unrivalled method to get your brand and message in front of the key companies in the industry. Raise your company profile and position your company as a market leader in asset finance industry by participating at the Leasing Life European Conference & Awards 2012. 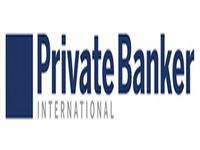 We are excited to announce the finalists for the Private Banker International Awards 2012. Winners of each category will be announced and presented with their award at the Awards Gala Dinner on 24 October at the Fullerton Hotel, Singapore. Please note, individual categories are under evaluation and will be announced closer to the event.